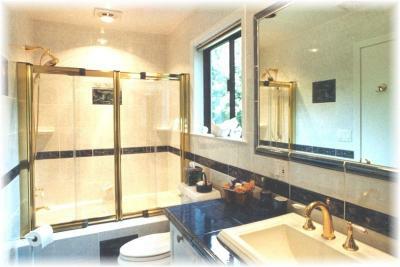 PROJECT DESCRIPTION: Bath remodel - demolition, all new electrical, lighting, plumbing & heating; All new fixtures, incl. 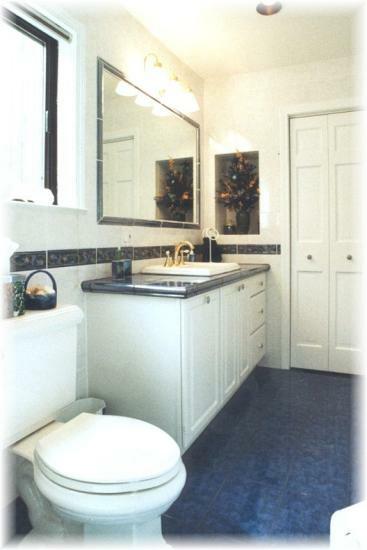 whirlpool, cabinetry & extensive, custom tiling. process gave us great peace of mind. The results of your efforts speak for themselves. As my mother told you; "It looks like something out of a magazine." We couldn't be more satisfied with the work and would wholeheartedly recommend your services to anyone interested in remodeling. We look forward to working with you again on our next project.